The ‘National’, as it is often referred to, is brass banding’s equivalent of the football league – a first-past-the-post Championship involving some 600 bands in eight ‘Regional’ qualifying heats staged up and down the UK, plus two ‘Finals’ events. The National Brass Band Championships, which have existed since 1945 in their current format, are split into five sections – Championship Section, and 1st, 2nd, 3rd and 4th sections – and eight qualifying regions in the UK. These are the London and Southern Counties Region, the Midlands, the North of England, the North West. Scotland, Wales, the West of England and Yorkshire. Depending upon the number of bands entered into each section in each region, the top two, three and sometimes four placed bands qualify for a place in the ‘Finals’, held in the autumn each year. 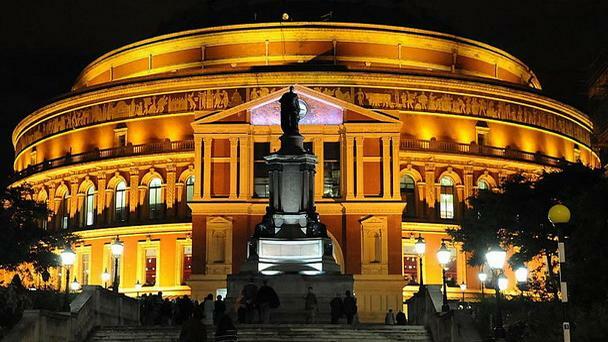 The Lower Section Finals, showcasing sections 1 – 4, are held at the Centaur in Cheltenham in September, and the Championship Section Final is held in London’s prestigious Royal Albert Hall, in October. The first four bands in the Championship Section Final secure automatic entry for the following year’s equivalent event and the results of the Regional Championships not only determine the bands that qualify for an invitation to the National Finals, but also their gradings for the following year’s Regional Championships. The last few years have seen a renaissance in the popularity of the ‘National’, particularly the Championship Section event held in the Royal Albert Hall, London, which now attracts over 4,000 each year to hear the band world’s top ensembles battle for the UK’s top title. The Championship Section Final is further enhanced, regularly, by a glittering concert showcasing the brass band world’s top talent. Recent years have seen a plethora of stars appear in Kapitol Brass in Concert, including the country’s leading trumpet players, Tony Fisher and the late Derek Watkins and Don Lusher, the dazzling international euphoniumist, David Childs, LSO Brass, the Band of HM Royal Marines, Black Dyke and Cory Band , the eclectic Mnozil Brass and many, many more performance giants.